Sam and Hannah invited me to be their Merriscourt wedding photographer. Even with a pretty terrible weather forecast Hannah smiled and danced her way through bridal prep. The B-maids were perfect company and kept the drinks coming and the music flowing. Their wedding ceremony will be one of the most memorable for me. So they got married in August. A pretty nice month here in the UK. Normally pretty sunny, warm, maybe a shower if you’re unlucky. They had thunder and lightening pretty much all the way through the ceremony. But you know what? It was absolutely electric. Not a dry eye in the room. Then the most amazing think happened. During the vows the lights went out in the barn. It was really dark. Then, after the line ‘you may now kiss the bride’ Sam kisses Hannah, and at that specific moment the lights came on again. The room went wild with cheering and applause! If I didn’t know better I’d think that it was set up. Anyway. Truly memorable and amazing to experience. Hannah bought her wedding dress from The Little Pearl Bridal, know Hannah wanted to give a shout out to the most brilliant seamstress in the world Elena! 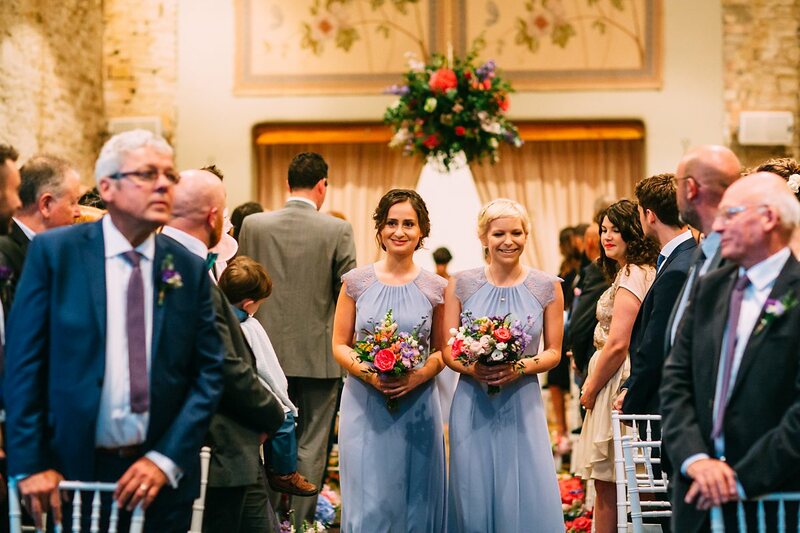 Her gown was a Charlotte Balbier number and flowers from Rebecca at The Bespoke Florist. It was great to hang with film maker Lara Elliot all day, who makes the most beautiful films. Shout outs to Margarita Marinho for make up and hair by Bethany Alden. Lastly, but certainly not lease the band – Soul Beats. Quite possible the best live band I’ve seen this year. It was the icing on the cake for this Merriscourt wedding. A HUGE – HUGE thank you for having me along as your wedding photographer. It was also great to catch up briefly with Ali and Ed and Peta and Jack whose weddings I also photographed. It sometimes feels strange going to weddings and sharing such an intimate day. But then never seeing a couple again so it was awesome to catch up. 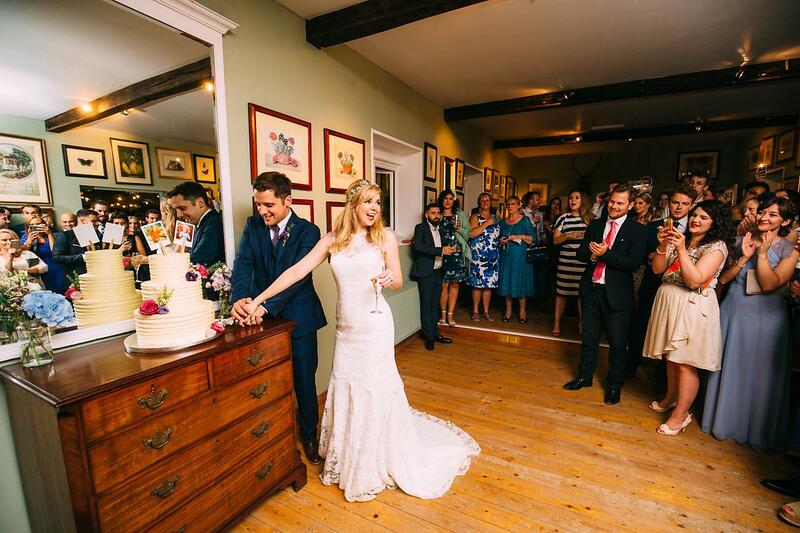 If you’re interested in seeing more weddings at Merriscourt Barn then check out the link. Otherwise on with the highlights! Absolutely beautiful work! The colors are amazing and you made the most of each shot.